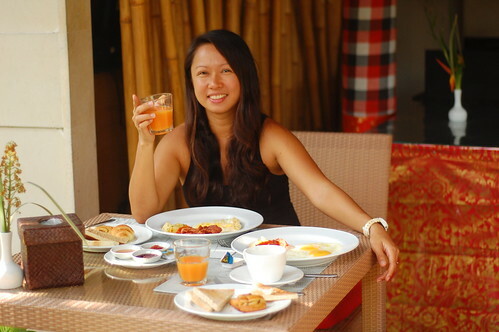 I first came to Ubud, Bali in 2011 and first impressions do last. I've always envisioned it as a place where you can be good to yourself. 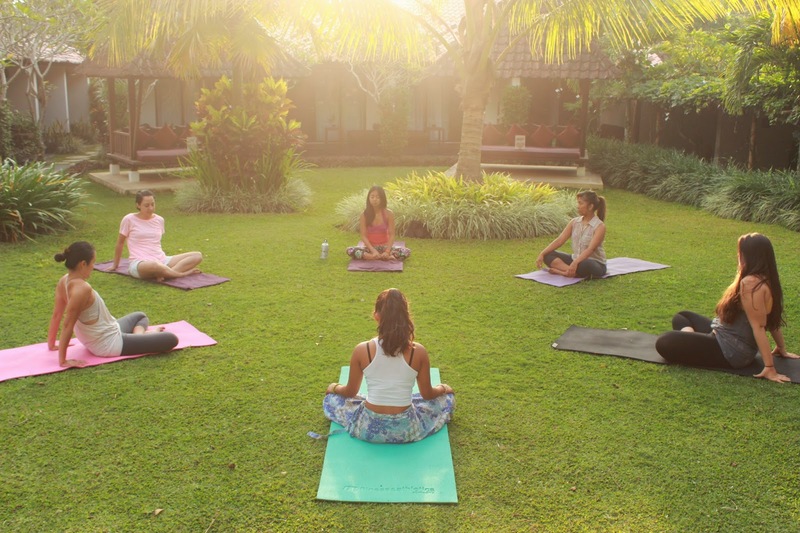 Where you can walk barefoot across rice paddy fields, spend hours pampering yourself at a spa, eat organic and fresh cuisine, practice blissful yoga and meet so many people who are on the same quest: to experience the magic and healing of Ubud. Just last March, I was back and what better place to stay than the Y resort. 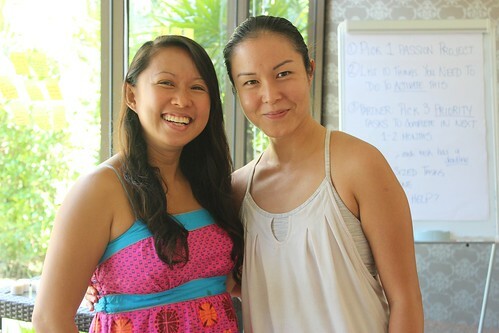 I first chose it because it was a great spot to host the Live Your Passion workshop with another passionate lady, Lydia. 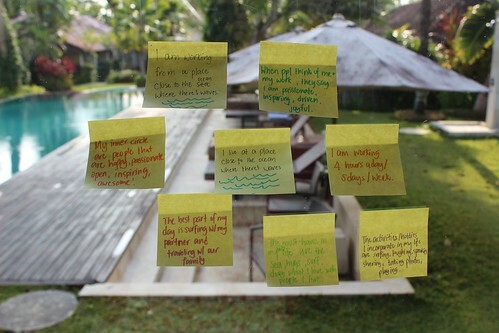 They had more than what we required: a function room, a pool and a garden. I easily made the booking through agoda.com. 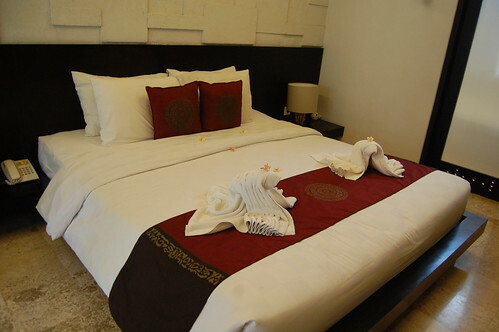 Upon checking in, we were lead to a spacious room overlooking the breathtaking pool set among the beautiful gardens. 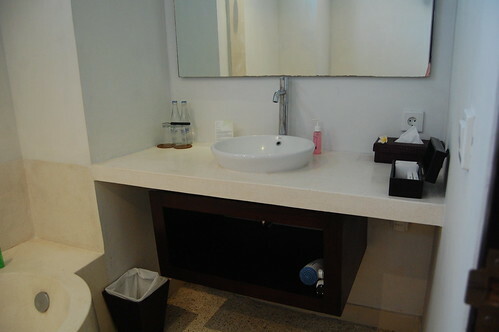 Everything was prepared for a truly comfortable stay. Each room was elegantly designed and felt like a safe a haven that cocooned us- we almost didn't want to go outside! The bed was roomy and super comfortable. I knew immediately I was going to sleep well. But before that, I took a long soak in the bath tub. I enjoyed it while sipping a warm cup of tea from the minibar. 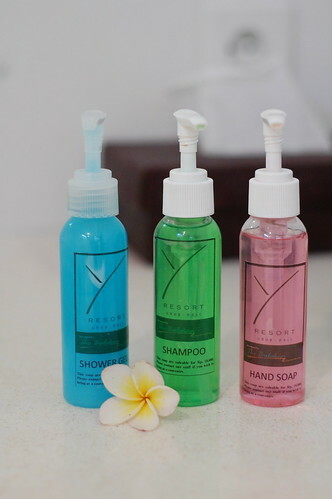 Y Resort Ubud is located in the sleepy village of Penestanan. Although it's isolated from the commercial area where boutique shops and restaurants are, there a few artisan galleries and health cafes within walking distance. 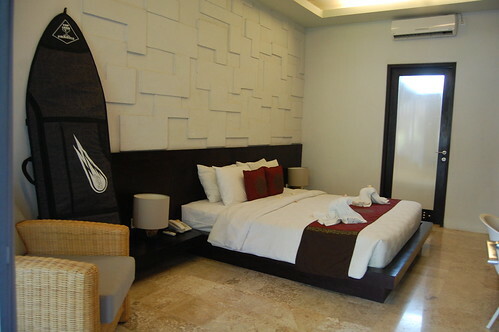 It's also just1 km from Central Ubud Market. So we experienced the peace and quiet of the Balinese village life but still had access to nightlife, shopping and delightful cuisine that we craved for. Breakfast at the Y was a delight to wake up to every morning. 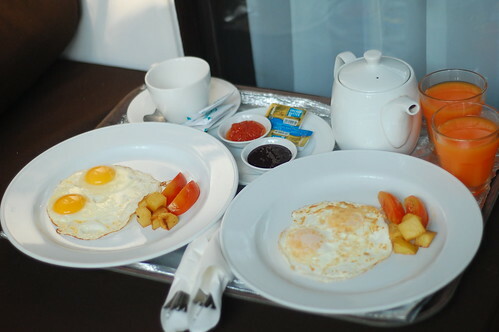 We usually ordered bacon, croissants, juice, coffee and some fresh fruits. 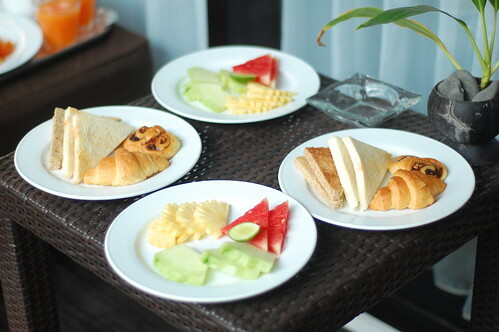 Just your typical, average Continental breakfast. But not so average when served to your room or your private gazebo overlooking the garden as the sun slowly lights up the sky. It's the perfect way to start the day here, whether in solitude or in gratitude. Their restaurant offered both international cuisine and traditional Balinese food made from fresh local produce that tempted our taste buds and took us on a gastronomical journey. I especially enjoyed my lunch of tilapia fish with spicy sambal sauce served inside a banana leaf on a bed of long grain rice. I could it eat it every day! 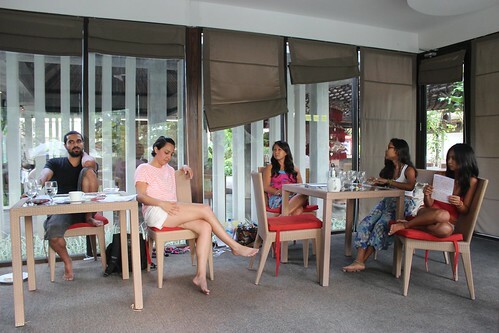 Our workshop was a great success because of the venue- they provided a unique air conditioned lounge overlooking the pool. The room was cozy enough for a small group and we were so inspired and refreshed. We did yoga on the garden at sunset to end our session. We breathed in the pure air as we were bathed in golden light. Everyone could feel the sanctity and energy of this place. 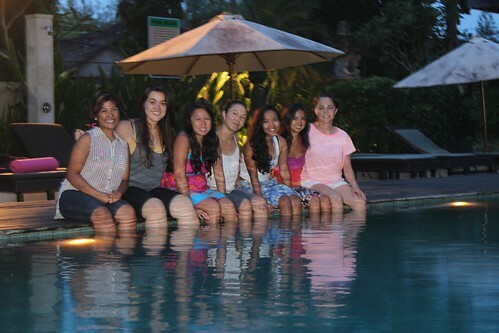 Although our stay here was brief, it was a magical end to a month-long stay in the island of the gods, Bali. It was the perfect place to be good to myself and to connect with like minded people. It became a cocoon that allowed a small but powerful transformation within me to take place. -The best way to get from Ngurah Rai airport in Denpasar to Ubud is through a car rental which can be arranged prior to your trip. If you take a taxi from the airport, it would cost around 195,000 IDR (about 17 USD). It would be a bit less if you walk outside the airport and take a metered taxi but I wouldn't recommend it if you are carrying heavy luggage. -Most visitors who arrive in Bali use the Visa On Arrival (VOA) service which provides you with a 30 day tourist visa.You can purchase your visa for 25 USD before you report to the immigration officer as he will need the receipt before he can stamp your passport. Other major currencies besides USD are also accepted for the VOA fee, but they will always give you any change in the local currency, Indonesian rupiah. -You can go around Ubud on foot but it's still a lot more convenient to rent a scooter or even a bike. Most areas don't have sidewalks or have very narrow roads which can prove to be challenging to both motorists and pedestrians alike. -Driving a motorbike in Bali is not recommended for beginners as it can be dangerous. Make sure you wear a helmet and have an international driver's license with you at all times. -Make sure you have 150,000 IDR per person for the departure tax at the airport. Only local currency is accepted, and they will not take credit cards. If you do not have the proper cash at the payment point, you will have to go outside the terminal to an ATM machine (Mastercard only) or money changer. We nearly missed our flight because of this but were spared through the kindness of a stranger! 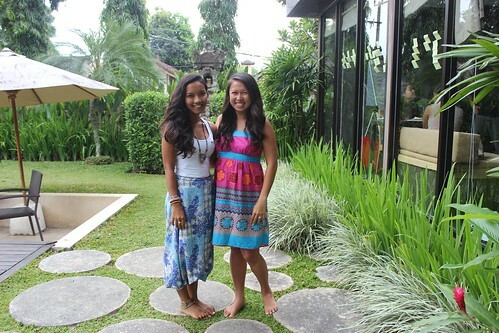 -Special thanks to Char of Agoda and the wonderful people at Y Resort Ubud for our magical stay there. As always, all opinion are the author's.